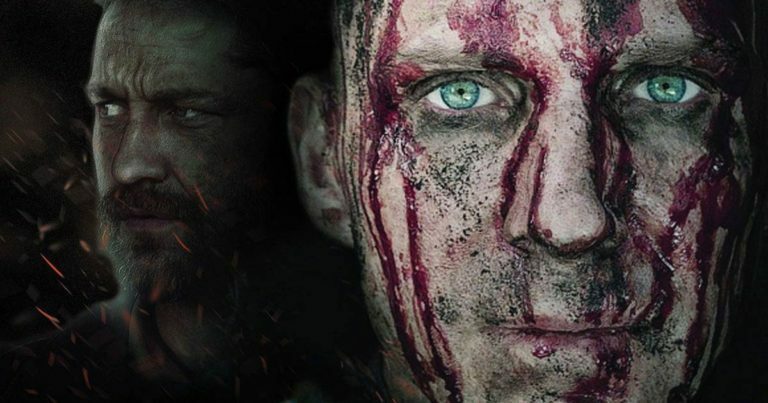 A new stage adaptation of Kurosawa’s Throne of Blood has premiered at the annual Oregon Shakespeare Festival in Ashland, Oregon, United States. Written and directed by the internationally recognised American theatre artist Ping Chong, it takes Kurosawa’s Shakespeare adaptation and transforms the story onto the stage and into the English language. The production will play in Oregon until October, after which it will appear at the BAM Next Wave Festival in New York. The interview is particularly interesting reading, as is the festival’s programme, which also includes information about Kurosawa, Noh theatre and Shakespeare’s Japanese adaptations. Update: See the comments section for links to some reviews. Update 2: Some video footage from the performance can now be found at the festival website. Especially the preview video gives a good glimpse into what the production looks like. The first review that I have been able to find notes that the production follows Kurosawa’s film very closely. You can read the review here. I’d really love to see this one, as it sounds quite interesting. 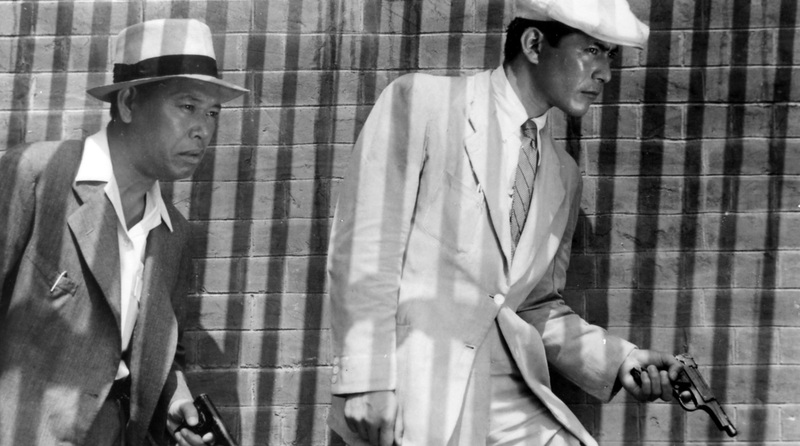 I read the Daily Tiding review and admit I have mixed feelings – IMO, Kevin Kenerly gave a masterful performance; I am familiar with the original movie production by Akira Kurosawa, and it did not seem to me that Kenerly’s Washizu character was either “bewildered” or resembling “a rat stumbling fitfully through a maze”. If Kenerly’s Washizu was ‘less’ than the original Mifune depiction, well, who can compete with Mifune? That is beside the point, actually. Kenerly never disappoints. And as far as Ako’s Asaji “enunciating syllables rather than concepts”, I wonder if Roberta Kent has ever actually seen a Noh performance? Ako’s depiction is about as authentic as one can get. I do agree somewhat that the bantering between the minor characters was a bit distracting at times, but I am assuming Ms. Kent has attended more than one Oregon Shakespeare Festival performance, so she certainly is aware that every play produced there has some “contemporary, colloquial wordplay of the minor characters” – this is one of the reasons OSF productions are so popular. All in all, however, Ms. Kent’s review was wonderfully positive; personally, I urge everyone with the means to do so to take in this magnificent production. Thanks for the comment, Yobaba. The way Kent concludes her review saying that the production “succeeds magnificently” actually made wonder if the points she criticises earlier are in fact just criticism for criticism’s sake — that something for some reason or another needed to be faulted, and those were the points that she found weakest. It is unfortunate that I am in Europe and therefore unable to see the production, or indeed any other productions at the Oregon festival. I’d very much love to! 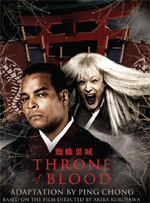 I am happy to tell you that Mr Chong’s company gave me the chance to read the manuscript for Throne of Blood, and now I am even more interested in seeing the play. It certainly follows Kurosawa quite closely, although not slavishly. At least on the page, especially the characters come across as little different, although that may be simply because the language is quite different, not only because it is (mostly) in English, but also because I think it is a little bit more decorative than Kurosawa’s. 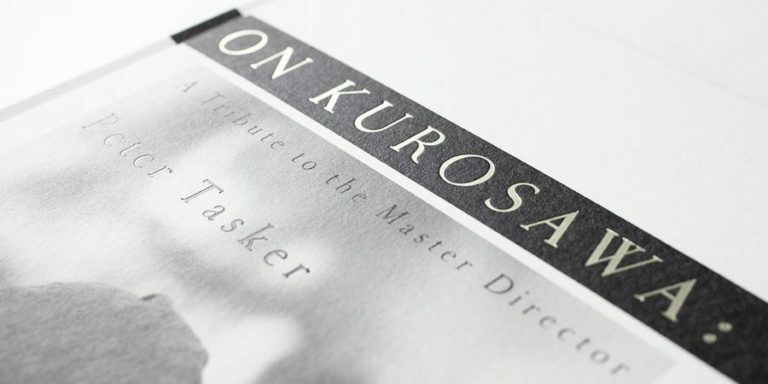 The text includes a number of references to other Kurosawa works. I’m not sure what to think of those, but at least Stray Dog, The Hidden Fortress, The Bad Sleep Well and High and Low got name checked (e.g. a character calls the spiderweb castle a “hidden fortress”, or another talks about his future fearing that he will become a “stray dog”, etc.) I think I also noticed some less direct reference as well, including a line of dialogue that seemed very much to draw its inspiration from the last scene of Ran. Similarly, Chong throws out a few pretty direct references to Shakespeare, which I suppose is appropriate. It would be very interesting to see how all those actually come together in performance. Based on the script, this Throne of Blood is a very visual (and aural) work, so as I said, reading the play only made me more interested in actually seeing it. Hopefully, something can be done about that at least on some level (stay tuned, I may have something for you soon). BTW, I want to add that Danforth Comins was also outstanding. 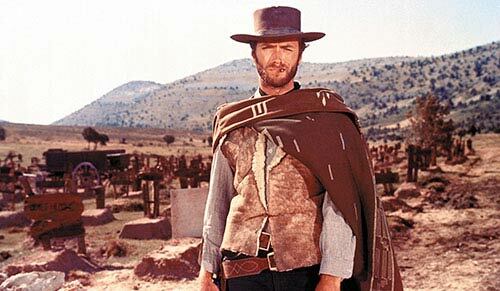 I just read Bill Varble’s review for the Mail Tribune [thank you for posting that link!] and I have to say he has a handle on what this play is all about. Great comments, and great understanding of Ping Chong’s intent. Where the Kent’s comments in the Daily Tiding were picky and rather disparaging, I found that Bill Varble absolutely “got the point” of Chong’s direction. A review well worth reading. I just updated the post with a link to some videos at the festival website. I would especially recommend the preview video, which shows some bits of the actual production. Ping Chong has won at this year’s playshakespeare.com Falstaff Awards, both as best director and for best script adaptation/dramaturgy for Throne of Blood. Additionally, Christopher Acebo won for scenic design and Darren McCroom for best lighting design.